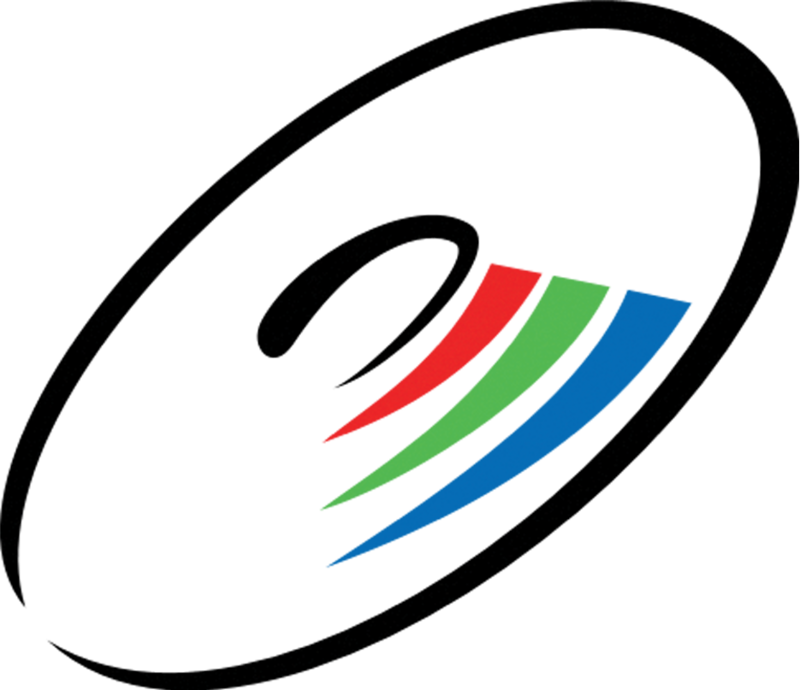 You can sell digital products, like software, e-books, pdfs, music, etc. on your website with this feature. The first step is to ensure you have digital products enabled. When you login to your admin click on Settings > Digital Download Settings and make sure it's enabled. If not, they you will need to enable it. If you can not enable this feature, make sure to contact support to determine if your plan supports this feature. You must have Members enabled in the admin to sell Digital Products. The next step is to upload the digital products to the server. 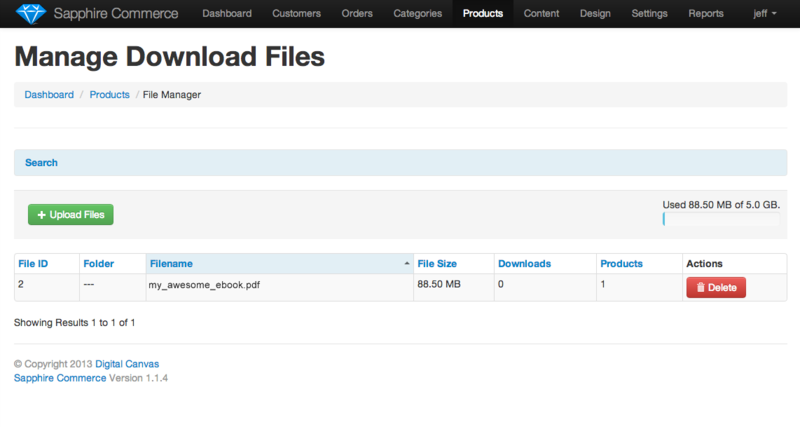 Click on the blue "Product Configuration" button and Select "Manage Files". (You may also slick on Manage Files on the product screen). 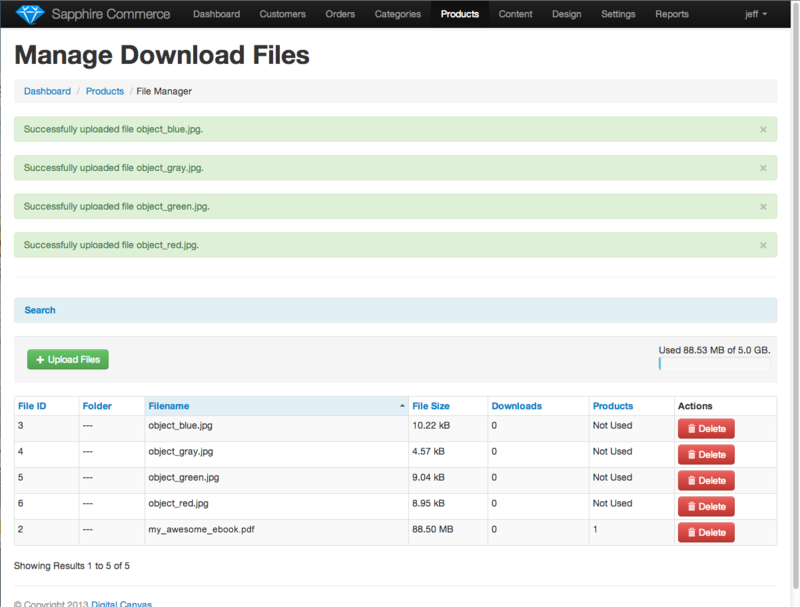 On the "Manage Files" screen, Click the green "Upload Files" button. This will take you to a page to upload the files. You may either click the "Add Files" button, or drag the files onto the page. If dragging the files, they need to be dropped in the area that states "Drag files here." Once the files have been uploaded you need to attach the files to the product. 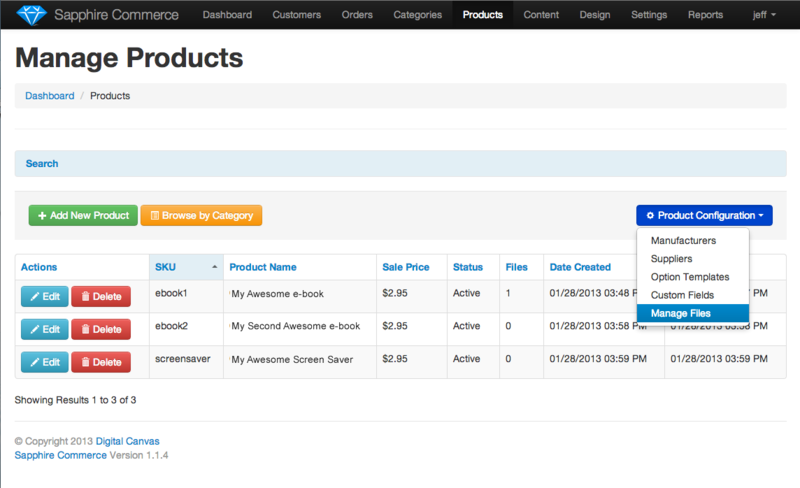 Navigate to the Products menu, then click edit on the product to work with. 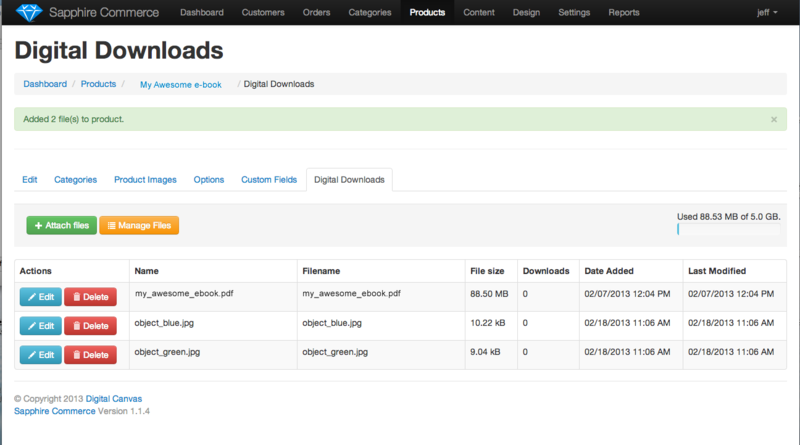 Once on the product edit page, click on the Digital Downloads tab. On the Digital Download tab, click on the green "+ Attach files" button. 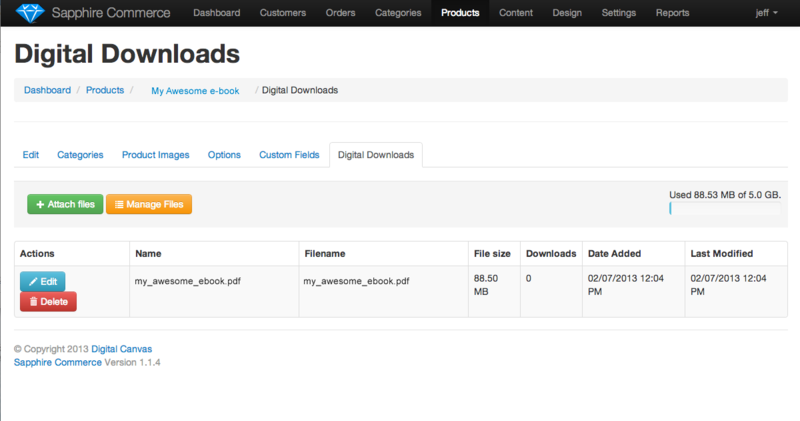 The files are now be attached to the product and you will see them in the Digital Download tab of the product. 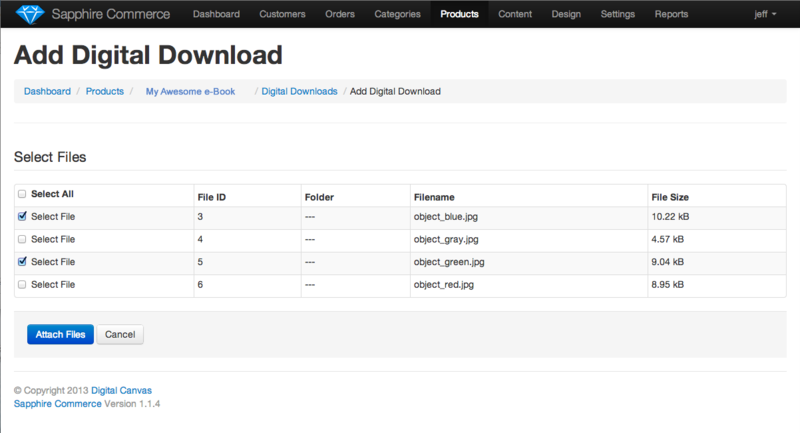 All the files attached to a specific product will be available for the user to download when the purchase this product. You can attach multiple files or a single file.